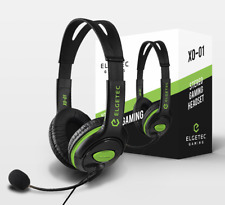 Official ELGETEC Xbox One Headset. Also compatible with Xbox one & Xbox X. Official stealth Xbox One headset. 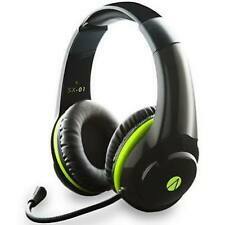 Xbox one headset! Perfect for gaming enthusiasts! New & unused in box. When purchasing a product fromrscommunications you can expect the following. Official Xbox one stereo headset in white. 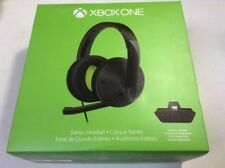 Official Xbox one mono headset Excellent condition in retail packaging Our technicians have converted these to a 3.5mm jack so the headphones insert directly into controller's with a 3.5mm port. 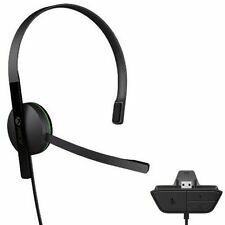 Microsoft Xbox One Wired Chat Headset - Black (S5V-00012). Condition is New. Dispatched with Royal Mail 1st Class. 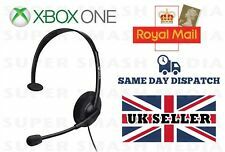 Official / Genuine Microsoft Xbox One Stereo Headset Adapter Game Audio Chat Mic. Condition is Used. Dispatched with Royal Mail Signed For® 2nd Class. xbox one chat headset adapter. Condition is Used. Not been used for a while but is fully working as far as I can tell. Boxed. Dispatched with Royal Mail 1st Class. Responsive microphone with adjustable boom. xbox one gaming headset Ear Force XO Three. Condition is Used. XBOX ONE > Accessories. Hear friends and foes in crystal-clear digital wideband audio. The Chat Headset is designed for comfort during long gaming sessions. 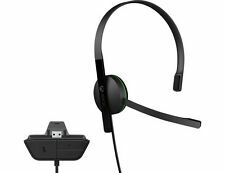 - Headset uses wideband digital audio for crystal clear voice chat. Xbox One Afterglow Headset. Dispatched with Royal Mail 2nd Class. It has been opener but never used. 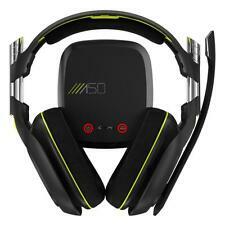 Model is Xbox One Afterglow AG6 -Lightweight headset with soft fabric headband. -50mm HD stereo drivers deliver clear, rich detail and powerful bass audio. -Noise cancelling mic with directional design delivers crystal clear chat. -Breathable leatherette cushions ensure a comfortable fit for extended game play. -Standard 3.5mm connector compatible with PC’s, other consoles and devices. Genuine Microsoft XBOX ONE Chat headset. Product does include: Chat Headset. NO COPY ! GENUINE / ORIGINAL ! Used but in very good condition, see original photos for preview. Product does not include: original box. Make the most of Xbox One gaming and communicate with ease with the MicrosoftXbox One Stereo Headset. 1 x Microsoft xBox one Stereo Headset only. Type: Xbox One headsets. 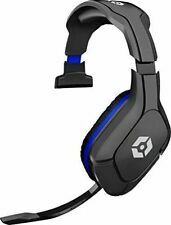 The headset can also be used with your PC, tablet or any phone so you can add quality audio to whatever you're watching. Xbox one earphones headset one ear mic bought in error Box damaged Brand new ! Xbox one earphones headset one ear mic bought in error box damaged brand new !!!. Bought for my son. He's torn the box. He doesn't like the one ear design. I bought thinking he wanted a one ear headset. So he hasn't even used this. It's brand new just a damaged box that it is all Selling a broken xbox one wireless controller as well Condition is Used. 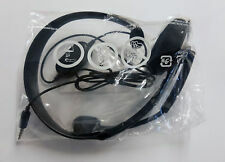 X-box headset without box but excellent condition. 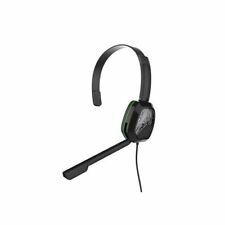 Microsoft Xbox One Chat Headset - Black. Condition is Used. Dispatched with Royal Mail 1st Class. Official Microsoft Wired Mono Chat Headset. For use with Xbox One consoles. 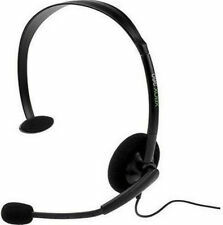 GENUINE XBOX ONE CHAT HEADSET. WITH MIC MICROSOFT. AS IM WILLING TO 100% COMMUNICATE AND. IS DIFFERENT! UK MAINLAND. IF OUT SIDE THE. UK MAINLAND ONLY. SORT OUT THE ISSUE STRAIGHT AWAY. Hear friends and foes in crystal-clear digital wideband audio. The Chat Headset is designed for comfort during long gaming sessions. • Headset uses wideband digital audio for crystal clear voice chat. FAST UK DISPATCH. Designed for Extended Gaming Sessions. The headset itself is in very good condition. We have more available if required just ask! It features a modern camouflage pattern for a fresh and unique look. Includes Stereo Headset. This headset is without adapter. 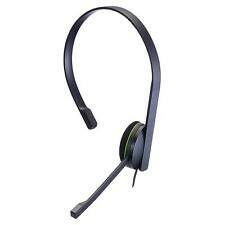 Official Xbox One Chat Headset. HardwarePlatform: Xbox _ One. WITHOUT ADAPTER. 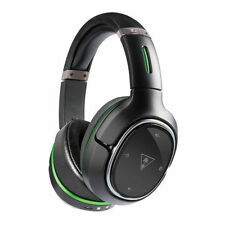 Xbox One Stereo Gaming Headset Microsoft! Only £14.99! Mic fault! -faults include, mic not working. Order paid before 12p. Order paid after 12p. • Adjustable boom microphone. 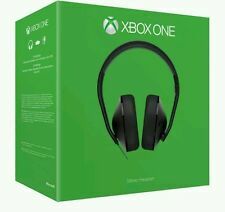 Xbox One Stereo Gaming Headset Microsoft Boxed! Perfect Sound! OFFICIAL XBOX One Stereo Headset - Genuine product !